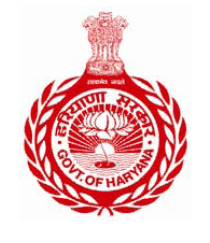 Haryana Plain: The Haryana Plain is a vast surface of flat to rolling terrain and extends southward to the northern boundary of the alluvial bed of the Ghaggar. It covers over 65 percent of the area of the District. The elevation of the surface from east to west varies from 190 to 210 meters above the mean sea level. The most diagnostic feature of the Haryana Plain is the presence of palaeo channels which set the occurrence of sand dunes in this terrain unit apart from those in the dune tract. The plain is traversed by numerous dune complexes and shifting sands. Alluvial bed of Ghaggar: A clayey surface of almost flat, featureless plain bordered in the north and west by the Haryana Plain and in the south along the sound dune tract, is a manifestation of the misfit nature of the present day Ghaggar. Waterlogging is a serious problem in many parts of this flat surface of impervious clay of great thickness. At places, swamps support a high density of tall grass. Sand dune tract: Third tract covers the southern most part of the district. The area is northward extension of the sand dunes of Hisar District and GangaNagar District of Rajasthan.